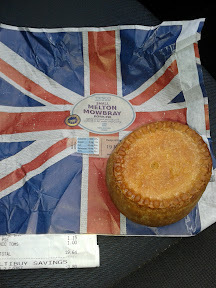 Our review of Tesco mini Melton Mowbray pies revealed a pie that was a bit lacking in quality. However we know good things come in small packages but no one ever said that about mini packages. 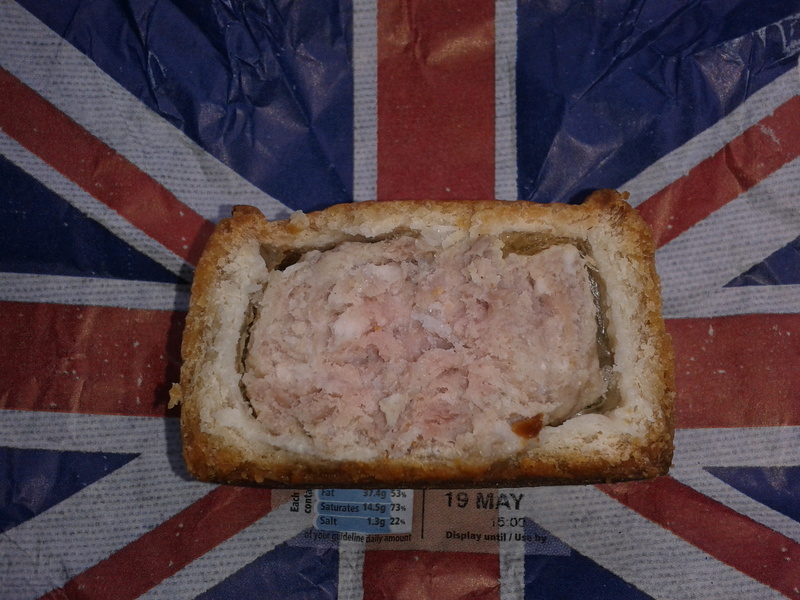 I decided to see what I could find in the small package of the Tesco Melton Mowbray Small pork pie. I am pleased to say this was much better. It had all the qualities one would hope for from a proper Melton Mowbray Pork Pie. Proper pork was apparent surrounded by a sufficient, but not overwhelming, layer of jelly. The pastry was nice and soft. It did lack somewhat in content by gaps inside the pie as can be seen in the picture. It wasn't as good as some more upmarket Melton Morsels I have reviewed recently but at £1.15 not a bad effort. Also it comes in a somewhat patriotic wrapper. When it comes to pies I don't mind being completely partisan, if there is one thing we do have to be proud of it is pies! Pie Rating, It’s Not A Game! Would the steak pie be more Jekyll or Hyde? Satis-fied By A Bit of Rabbit Baked With Bacon?